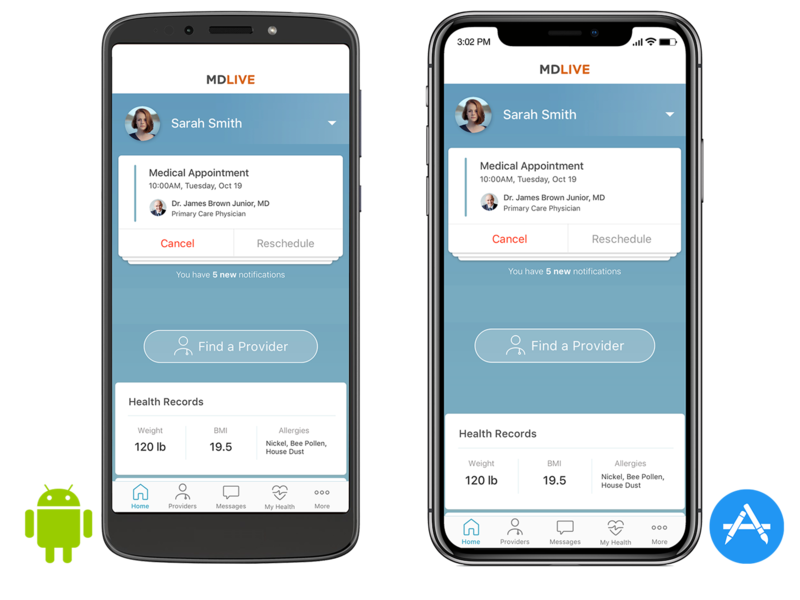 MDLIVE Mobile App 4.0 - The best patient experience. Medical and Behavioral Health integrated into a single platform. When should you use MDLIVE? As a low-cost alternative to the emergency room or urgent care center. If you’re considering the emergency room or urgent care for a non-emergency medical issue. We’ve changed the way our 22 million members see a doctor.